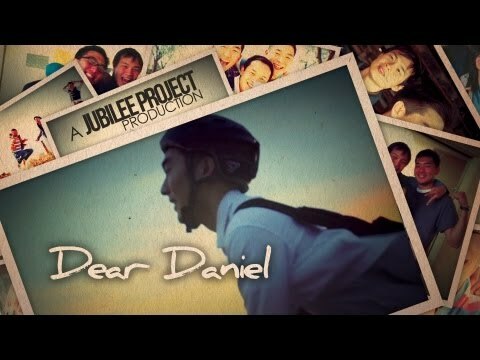 Jubilee Project released a 20 minute film project “Dear Daniel,” which seeks to empower young people who watch this film to chase their own dreams and live a life of passion. Too often we settle for less because of the many factors that tell us we need to play it safe and take the more conventional route. But this keeps us from actually becoming the person we are meant to be. There are times in our lives when we wonder if we were meant to follow our passions and live for something greater. “Dear Daniel” is a coming of age story of a young man, John Lee, who is trying to chase his dreams. But to do so, he must face and confront the most important people in his life. In the end, only he can choose the path he wishes to take. Dear Daniel was produced as a semi-autobiographical commentary on the Asian American experience, especially as it relates to themes of the Tiger Mom, the Model Minority Myth, mental health and stigma, and finding our identity. This film features music by Amanda Lee, David Choi, Clara Chung, and more. Watch more videos from Jubilee Project: Back to Innocence, Picture Perfect, Generosity Day : What is Love?, Be the Change, Love Language, Top Chef, Picture This, Why I Sing, Waiting Game, Top Chef, Waiting Game, Letter of Hope, and Beautiful. This entry was posted in shorts on September 18, 2012 by Kevin Hsieh - channel APA.